Holland America Line's ships are famous for their museum-quality art. 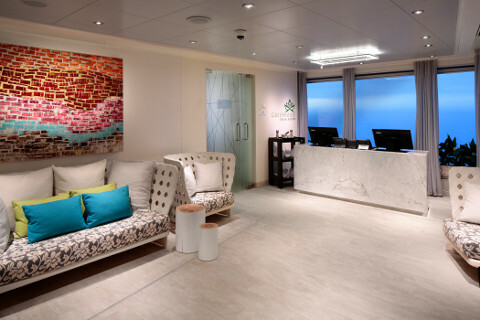 Fans of cruising on Holland America Line ships are familiar with the pleasure of rounding a corner to encounter another stimulating piece or installation of art. Art tours are among the most unique on board experiences on HAL ships. 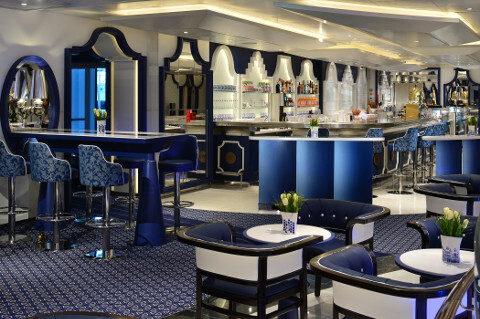 On Holland America Line's newest ship, the MS Konigsdam, 4.1 million dollars' of art translates into 1920 pieces ranging from classic to contemporary, traditional to avant-garde, enhancing the decks, public spaces and even private staterooms. Much more than traditional framed two-dimensional art, Konigsdam art encompasses photography, painting, mixed media, illustration, prints and sculpture. 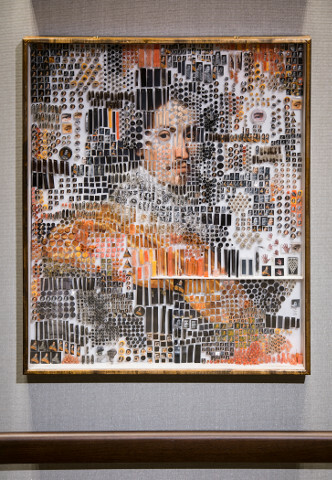 Koningsdam features artworks in many media, including photography, painting, mixed media, illustration, prints and sculpture. Classical or whimsical or a thought-provoking combination of both, artworks are created from expected materials as well as remarkable paint-injected bubble wrap, computer disks on wood, toy cars cast in resin, aluminum wire, cast paper, bamboo and other materials you might not associate with works of art you might have encountered in traditional museums. Many pieces change depending on where you stand in relation to the piece, engaging you to start conversations with your fellow guests. There are a number of apparent themes, including Holland America Line's association with the Netherlands, as well as Koningsdam’s focus on entertainment, with various pieces showcasing themes of performers and music, dance and movement. More than 21 nationalities are represented by Koningsdam’s artists, including the Netherlands, the United States and the United Kingdom, as well as Argentina, Australia, Brazil, Canada, the Czech Republic, Denmark, France, Germany, Israel, Italy, Japan, Norway, the Philippines, Portugal, Romania, South Korea, Spain and Switzerland. 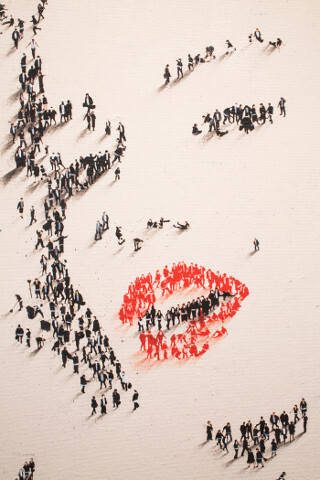 Some of the artists are established and well known, others are up-and-coming, with prices for pieces ranging in value from $500 to well over half a million dollars. The largest and most expensive work is the stunning $600,000 Atrium sculpture titled 'Harps'. It's based on a concept by celebrity hospitality designer Adam D. Tihany, who was the mastermind behind the Konigsdam's design. 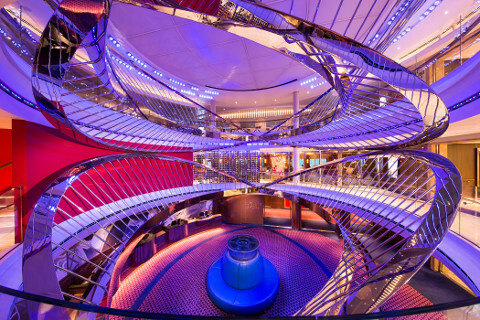 The 7.5-ton stainless steel sculpture spans three decks and is the focal point of the ship's Atrium. 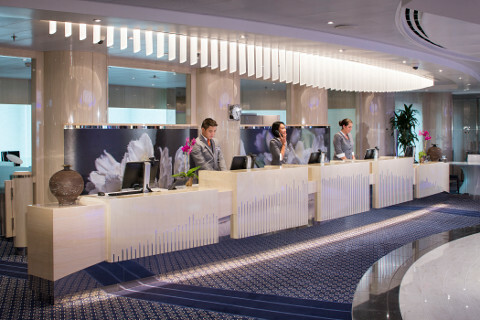 The large-scale tulip images behind the Guest Services desk are by a Netherlands-based artist who was commissioned to photograph Holland America Line’s Signature Tulip. This unique flower only blooms for a couple of weeks every year, so the team traveled to the Netherlands to collect the blooms directly from the only grower in the world to capture this visual art. 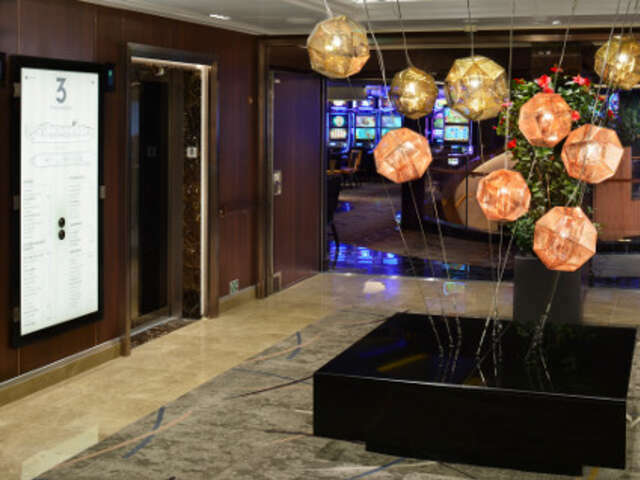 Dutch design group Studio Job created the $100,000 custom-designed Swarovski crystal globe in one of the ship's stair lobbies; a $54,000 'Rabbit' in the Retreat is one of the most talked-about works, and the light sculpture 'Quad Helix' by Jason Krugman spans multiple decks. Look for the charming pieces nestled inside special tables at the Grand Dutch Café; Royal Goedewaagen created handmade and hand-painted ceramic buildings that showcase a little bit of Dutch history with canal houses, mills, palaces and regional Dutch buildings. Dutch artist Peter Gentenaar recently exhibited his work at Paris’ famed Louvre, and now Holland America Line guests can enjoy his captivating, two-story sculpture in The Dining Room. 'Wings of the Pharao', is made from handmade cast paper, Belgian linen and bamboo. Even if you don't consider yourself an art expert or even an art lover, the artistic eye candy on board the Konigsdam will be one of your favourite memories of your cruise.